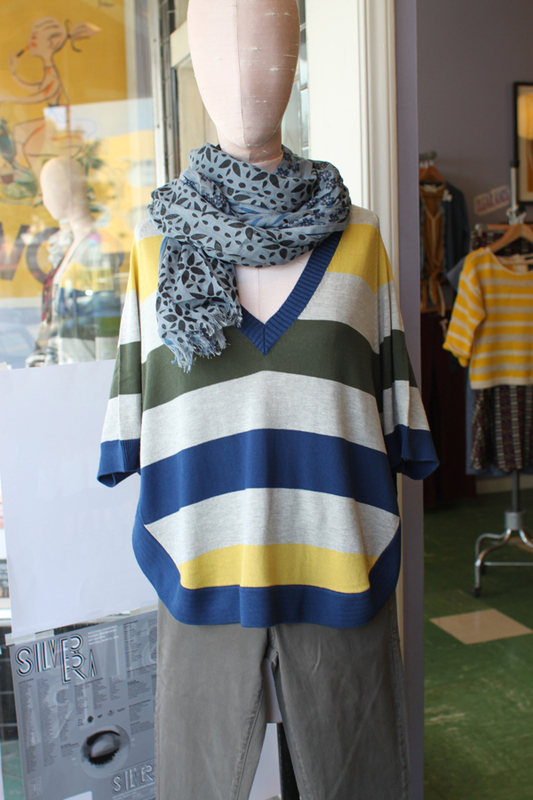 We love this lightweight striped sweater from Laurie B. 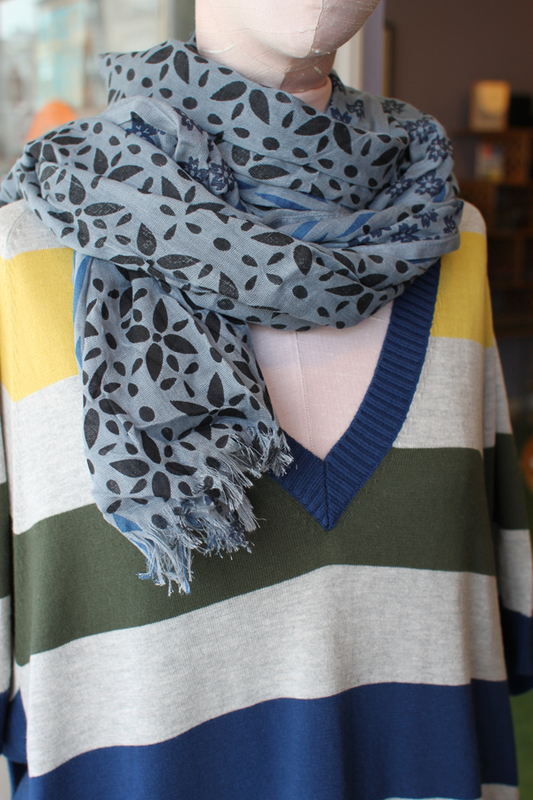 It's the perfect weight for Spring and looks so perfect with faded green skinny jeans and a printed scarf. An ideal outfit for this in-between weather!